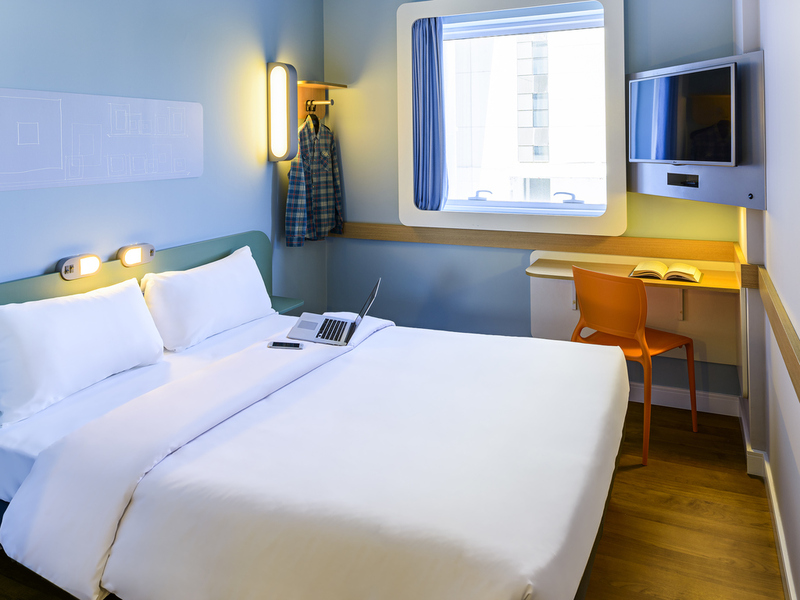 Looking for a cheap hotel in the center of São Bernardo do Campo? Enjoy a comfortable and reasonably priced stay at the ibis budget São Bernardo hotel, located opposite the Metrópole shopping center, 875 yards (800m) from the bus station and close to the Pavilhão Vera Cruz. The hotel has rooms for up to 3 people, with air conditioning, a flat-screen TV and WIFI, as well as offering a 24-hour convenience store and delicious buffet breakfast. Your dog is also welcome! Opposite the Metrópole shopping center. 20 minutes from the São Paulo Expo center. Lunch and dinner are served in the ibis hotel next to the ibis budget. We also have a 24-hour bar with Happy Hour every Thursday from 7pm and feijoada with live samba on Saturdays! THE CONVENIENCE STORE AT THE IBIS BUDGET SÃO BERNARDO DO CAMPO HOTEL IS OPEN 24 HOURS A DAY.